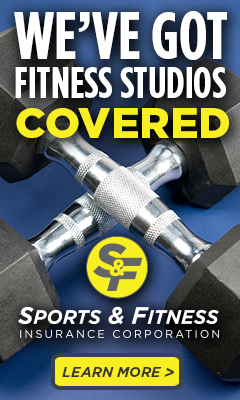 Studio Spotlights are an ongoing afsfitness.com section that shines its light on some of the most unique, noteworthy, and successful fitness studios in the nation, uncovering strategies and tactics that you can apply to your business. This month's Studio Spotlight features Monumental Results located in San Diego, CA. President and "Head Coach," Cris Dobrosieski has grown his business from training athletic teams, past and present Olympians - to becoming an author, professional blogger and motivational speaker! Click here to visit the Monumental Results website. What were the motivators that inspired you get into the business of running a fitness studio? I wanted my success and earning potential to be limited only by the relevancy of my model, usefulness of my ideas and quality and quantity of success I had helping people improve their lives. I did not want my job description to defined by a supervisor or my earning potential to be limited by a pay scale. It just made sense for me at that period in my life. How did you get your first clients? From day one, I made it my way to listen keenly, care more than necessary and do a great job with every single person, every single session. Out of that concern and high quality of care came many, many happy people whose lives improved and people who are happy love to tell their story! The referral component is multiplied when happy clients themselves are coaches, doctors and other professionals who need highly skilled and safe resources for their own students/patients/clients. What does your business look like today? In addition to the hours spent with corporate and athletic teams, small groups and all sorts of individuals from cancer patients to past and present Olympians, I am now earning significant revenue as an author, professional blogger and motivational speaker. This blend of work allows me the opportunity to get my message out to the world, provides intellectual stimulation and serves as a multiplier of my earnings. Tell us a little bit about what differentiates your studio from others? What differentiates the Monumental approach from all models out there is our deliberate focus on listening and understanding where our clients are coming from. From there we can develop a thorough understanding about the way our clients’ think about their health, fitness and realizing positive change in their lives. If you were starting over today, what would you do differently? Nothing. The ownership model has been a great way to make a difference in the world and make a healthy living. The measured but assertive and deliberate steps I continue to make are a recipe for low-risk growth. If you were advising somebody whose dream is to open a studio – what would be your primary nuggets of advice? Let integrity drive ALL of your decisions. Be sure that your “studio business vision” is congruent with your location and highly desirable for your targeted client base. Remember that it is normal for economic tides to rise and fall, but be sure your model is sound, balanced and malleable enough to handle both swings of the tide. Which came first – Cris the elite trainer or Cris the astute businessman? Elite trainer, who used the first ten years (prior to studio ownership) developing both his fitness instruction skills and his business skills as a worker/contract trainer. What drives profitability? Three things. 1.) A service product that exceeds clients expectations. 2.) The ability to develop relationships that add value to clients’ lives far beyond physical fitness. 3.) A community presence amongst varied civic/athletic groups that consistently lets people know the great things that are available at our clinic. What is your philosophy on generating new clients? In your opinion, what are the biggest advantages of joining an Association like AFS? The biggest advantage to joining an association like AFS is the exposure to so much great information on the details and nuances of running a fitness (service) business. Passion alone, though hugely important, will not make a small fitness studio successful. It takes preparation, insight and education, most of which you do not get learning studying anatomy and exercise science. Anything else you think a studio owner or wannabe would want to know? Be clear about what your brand of fitness will look like and be tirelessly committed to choosing a location, staff, set of services and a marketing plan that is fully consistent with that brand. Have fun on the journey! Looking for all the tips and expert advice from studio owners across the country? Join AFS today and get access to our Studio Spotlight library! With AFS, one new idea that creates or saves a single client pays for your membership!